I made a mistake. For some reason I thought my fastest 5k was 22:44 but it was actually 22:01. I don’t go back and read old blog posts because I’m too busy planning the next one. Something told me to go back and read that October post. Imagine the shock I felt seeing that time! I even Googled the results to verify the time. 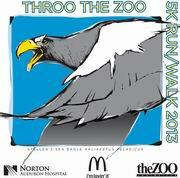 The official Throo the Zoo results are posted on River City Race’s website and my time was 22:08. 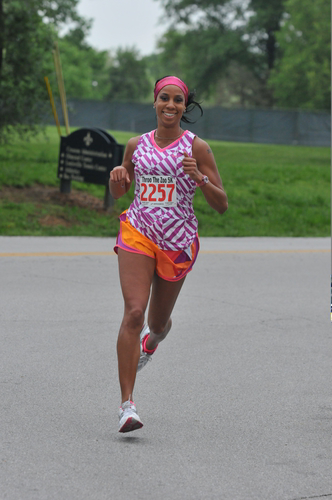 I finished 2nd in my age division, 8th overall woman and 66/1659 overall. I wonder if chip timing was used because I was standing several feet back from the starting line and my official time should have been a few seconds faster than the race clock. Maybe this is why the awards were not handed out this morning. These seconds make a huge deal when you are running with all your heart and trying to PR. Even with the extra seconds, I still would have fallen short of my goal. I will post a photo of the age division award when I pick it up. My goal remains the same: sub 22 minute 5k and that will settle any discrepancies! 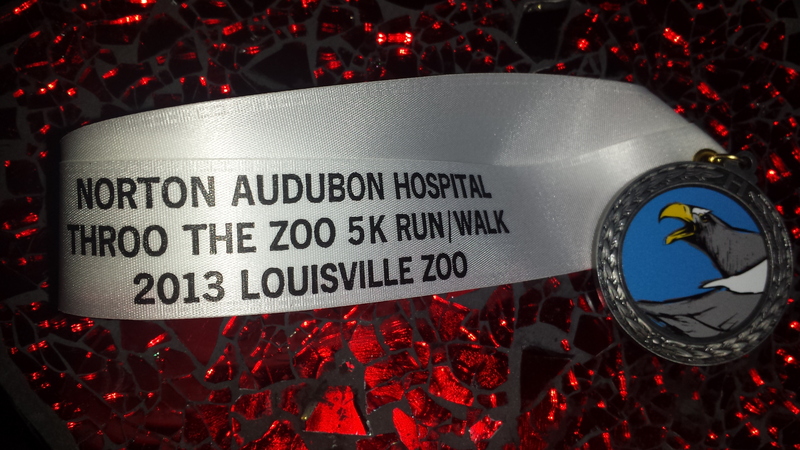 This entry was posted in running and tagged 5k, Louisville Zoo, PR, Throo The Zoo 2013. Bookmark the permalink. And…I totally think you’re right. I think they might have started all our chips at once instead of having us cross that starting line to activate them. My time is exactly what I had crossing the line, and I know I was at least a couple seconds back from that horn that set us off. River City Races said: “Had technical difficulties and trying to work on getting chip times but results are based on gun time so the results are final.” Thought you’d be interested in knowing that. So, I guess…stay tuned. Thanks for the heads up. The awards are at the Zoo. I’ll pick mine up this weekend.